La Palma Mexicatessen. All photos by Joanna Prisco. San Francisco has been leading the American foodie revolution since as long as anyone can remember. When you're on a food tour of the Mission, you'd better come hungry. SAN FRANCISCO, CA – You're in the Mission and you're wishin' something could cure your lonely condition. With apologies to Young MC, the San Francisco neighborhood is brimming with gourmet pleasures, particularly of the caffeinated, spiced, and churned variety. And when you start feeling post-indulgence remorse, you can hit the hills to burn off the calories in between. The Mission District is directly accessible from the airport by MUNI, San Francisco's underground rail system. Once you're there, hoof it. (Just be warned that the inclines can get so steep that sidewalks require tactile guide strips. It's all part of the fun.) The neighborhood's sunny microclimate has attracted dotcommers, hipsters, and artsy types for the past ten years, but people from all over the Bay Area and beyond find its booming restaurant scene hard to resist. 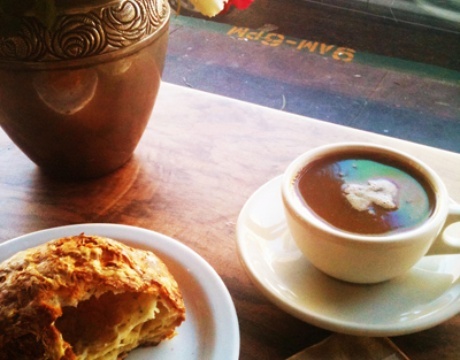 Cuppa: Shake off any jet lag with a large cup of organic Four Barrel coffee and a freshly baked gougère the size of softball at James Beard-award-winning Tartine Bakery. You may not score a seat at one of the six tables, but standing at the window counter, tearing shreds of cheesy, peppery dough with your hands makes you look like a local anyway. 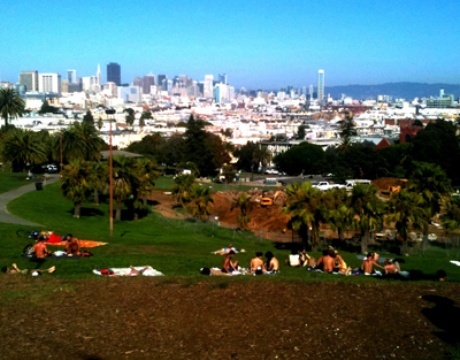 Explore: Walk to the top of Mission Dolores Park for one of the best free views of the city — and enjoy the nudists camped out near the entrance at no extra charge. San Francisco has looser laws than most when it comes to living au naturale. But if that's not your scene, you can find a patch in another section to play Frisbee or just people watch. There's room for everyone. Salsa Fix: After a few hours, you'll start craving authentic Mexican cuisine. If you're not ready to leave the green, hit up the Chaac-Mool food truck parked just outside. Owner Luiz Vasquez specializes in traditional Yucatecan dishes like cochinita pibil served on handmade corn tortillas. For a more varied menu, try Regalito a few blocks away. Known for their plate-size fried tortilla chips that you break and dip into guacamole, it's a bit pricier than most taquerias in the 'hood but comes with more creature comforts. Happy Hour: If you're still swooning over the temperate SF weather, enjoy another favorite outdoor pastime — day-drinking in the beer garden at Zeitgeist. The interiors of this mecca to all things metal could have been decorated by Motley Crüe and is widely known for surly service. Just go with it. Order a pitcher or two of local brews like Bear Republic, Anchor, or Speakeasy, then hightail it to a prime picnic table. Dinner: The burgers at Zeitgeist are insanely cheap but meh. Instead, freshen up and join the well-groomed hipsters queuing outside for a seat at Pizzeria Delfina. You can order a bottle of wine and drink it on the sidewalk while you wait. Once inside, try the broccoli raab pie. Or make a reservation at competitor Flour + Water, order the fungi pie, then split any of the deliriously yummy house-made pasta dishes. Scoops: You saved room for dessert, right? Bi-Rite Creamery makes everything from marshmallows to macaroons in-house and their ricanelas (cinnamon ice cream with snickerdoodles mixed in) will leave you with the most excellent sugar coma. Night-night. Cuppa: The original location of mini-chain Philz Coffee definitely embodies the crunchy aesthetic SF is known for. But don't let the beat-up furniture fool you. Behind the cashier awaits a jackhammer-strong blend of Turkish coffee served with sugar or agave and garnished with traditional mint. The vegan donuts aren't bad either. Explore: After you've refueled, check out the nearby Explorist International record shop, featuring new and previously owned vinyl, books, and curios. An original Grand Prix jukebox is stocked with old hits like "Turn on Your Lovelight" by Bobby Bland. And you can blast any of them throughout the store as long as you bop along. Down the street, test-drive the Mexican wrestler look by trying on a few Lucha Libre masks in one of the many shops selling them. Just because, that's why. 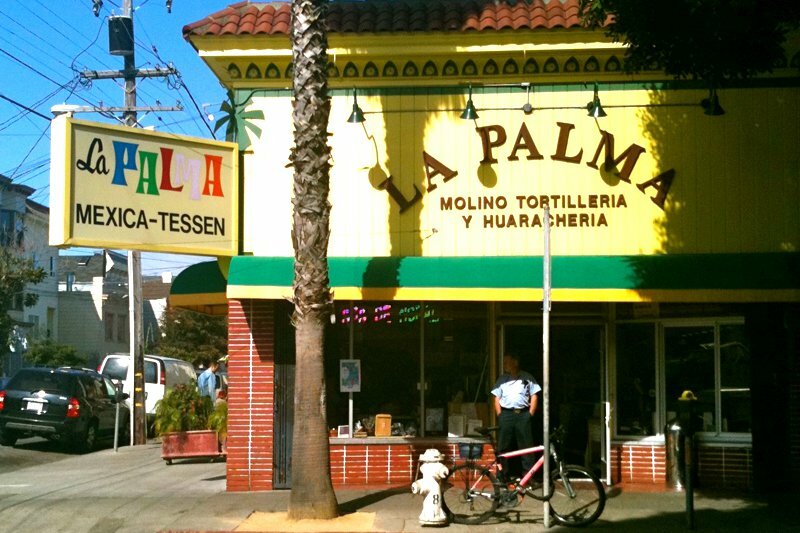 Salsa Fix: Today, go beyond the taco at La Palma Mexicatessen, where fresh tortillas come in flavors like mole and chipotle and the chicharonnes are good and salty. Or walk a bit further to La Torta Gorda, which makes a mean Mexican Pambazos sandwich with chorizo, potatoes, lettuce, tomato, cheese, and sour cream) — olé! Happy Hour: Feeling fancy? Sidle up to the bar at Beretta for an old-fashioned cocktail such as the Diablo or a Kentucky Mule. Sip slowly, stir your vintage swizzle, and learn how to upgrade your at-home libations by observing charming and generous bar manager Ryan Fitzgerald. Dinner: If you haven't noticed by now, San Franciscans love dining out. Put your name in at Bar Tartine well in advance. (Yes, you're spending a lot of time with the Tartine family, but one bite of the buckwheat grated egg noodles and you'll get it. When was the last time you ordered a third portion of anything?) Everything here is phenomenal and designed for sharing. If you can't get in, Range is a worthy substitute, offering California comfort foods like braised flounder with butter beans or roast chicken and bread salad. Scoops: As a sweet pit-stop on the way back to the hotel, hit Xanath Ice Cream for an all organic, locally sourced cup or cone of saffron. Cuppa: Now that you've had time to adjust, you'll fit right in at Ritual Coffee Roasters in the morning, where SF-made foodstuffs like alfajores and sweet potato bread are served with a side of local pride. Take that, Starbucks. Excursion: Inevitably, the last day of any trip always ends up having the worst weather. Take in a limited release featured in the most recent art-house or documentary series at The Roxie, one of San Francisco's oldest continually operating movie theaters. Or memorialize yourself with a Polaroid or tintype portrait taken at newly opened Photobooth (closed Tuesdays). Tintype was a Civil War-era precursor to modern photography in which images are transferred onto metal plates. Not your average travel memento. Salsa fix: Puerto Alegre is the perfect midday repast for binging on unlimited salsa and chips. The decor is so unpretensious it's a little tacky. But this hole in the wall remains packed with locals for its muy yummy margaritas and mountainous nachos. Excursion: If you have a child, or just feel like one sometimes, 826 Valencia, author Dave Eggers' literacy nonprofit, is a Mission must. At its shop, The Pirate Supply Store, you can purchase any number of pillaging paraphernalia, try on mustaches in a gallery of mirrors, or sit back and zone out to the mini fish aquarium. Down the street, Paxton Gate's Curiosities for Kids offers more time-consuming entertainments like shadow theater and story time. You can even have your favorite stuffed animal mounted on a plaque (two weeks for completion; yes, they ship). Happy Hour: After retail therapy, duck in to Winemakers' Speakeasy (formerly B3) for a flight of reds from Napa. If you need sustenance, the chef, who used to work at Bouchon, serves a small menu of sausages and burgers to pair with your beaujolais. Dinner: Lavender almonds, celery root soup, and roasted pumpkin are the kind of entrees on offer at Local Mission Eatery, the type of sustainably minded, casually chic place you expect to find in PC SF. The restaurant shares a space with Knead Patisserie in the back, where you can score jars of s'mores with graham crackers for enjoying on the flight back home. 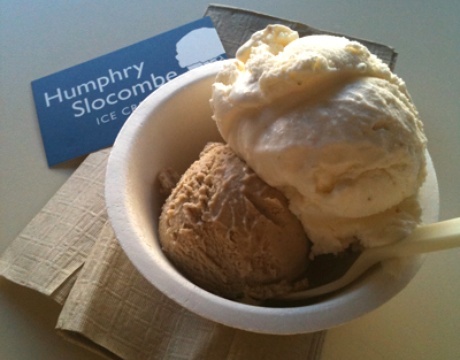 Scoops: Leave on a high note at Humphry Slocombe, possibly the most progressive ice cream parlor on the West Coast. Serving constantly changing flavors — Secret Breakfast (bourbon with frosted flakes), Salted Caramel, Blue Bottle Vietnamese Coffee, Salt and Pepper, Szechuan Strawberry — you will likely consider buying a mini cooler to take as your carry-on. It would be a good move. Joanna is a writer living in Brooklyn. You can follow her on Twitter @joannaprisco. She travels to expand her vocabulary, to test the boundaries of her palate, and to find creative inspiration while staring out a window for thirteen hours.